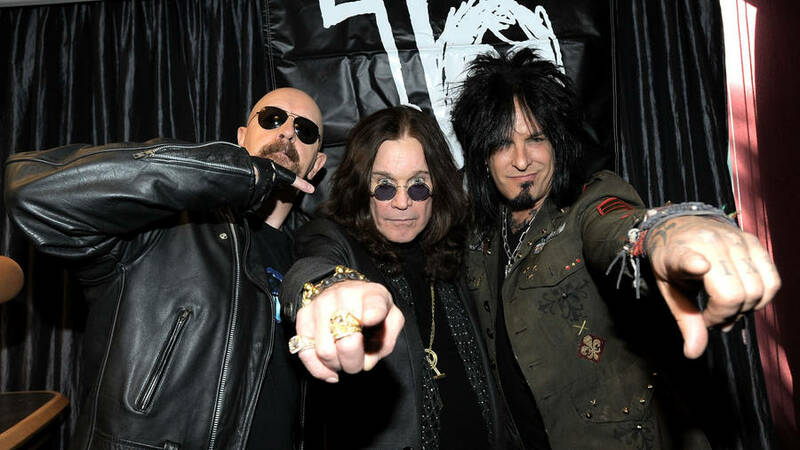 Ozzy Osbourne, Lemmy, Jerry Cantrell, Rob Zombie and Carmine Appice were among the rock celebrities who were present yesterday, when guitarist Zakk Wylde was inducted into Hollywood's RockWalk. Ozzy Osbourne spoke about his guitarist to the public. The event took place at noon at 7425 Sunset Boulevard in Hollywood, California. Zakk, in true "Wylde" fashion, proceeded to stick his beer bottle into the cement, after placing his handprints in it. The RockWalk is described as "the only sidewalk gallery dedicated to honoring those artists who have made a significant impact and lasting contribution to the growth and evolution rock 'n' roll, blues and R&B." Zakk's wife Barbanne Wylde, son Jesse Wylde, and daughter Hallie Ray Wylde were also on hand to witness the historic event. For more pictures, check out Wire Image and Getty Images.